A couple of months ago my attention was drawn to this interview with Sergei Polunin. 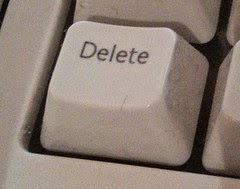 In it he talks about how it was necessary to destroy, or "delete" everything he had previously worked for, in order to start afresh and remain creative. Often artists create work that is intended to be destroyed, ice and snow sculptures, drawings in the sand waiting for the tide, installations designed to be taken over by nature and crumble into the earth. While some art is curated by people devoted to its long term preservation, other art is made through its destruction, it's impermanence being a key part of its beauty. Performance, such as dance, often belongs in the moment. Although it may be immortalised in images or video, people often say that the energy of a dance is lost, and it's never quite as good when viewed on film. When I perform, I usually try to capture it on video, primarily so that I can reflect upon it later and understand better how to improve for my future performances. Sometimes that doesn't happen, through logistics, forgotten cameras, technical failures or "no film" rules at particular shows. Often that disappoints me, especially if it was an improvised performance as it really does feel lost forever. An enormous amount of work goes into a 4 minute performance (let alone a longer one) and when that is over, with nothing tangible to show for it, it can feel like an anticlimax. Sometimes though, there is a sense of "rightness" in that. The performance stays in the moment, in the memories of a few witnesses - and never mine, because I can never recall my experience of a performance, I go into my dance-mind and effectively black out! It also means that I can move on. I can cast aside that performance and look forward to the next. No judgement, no hangover, and with that comes an enormous rush of creative freedom. 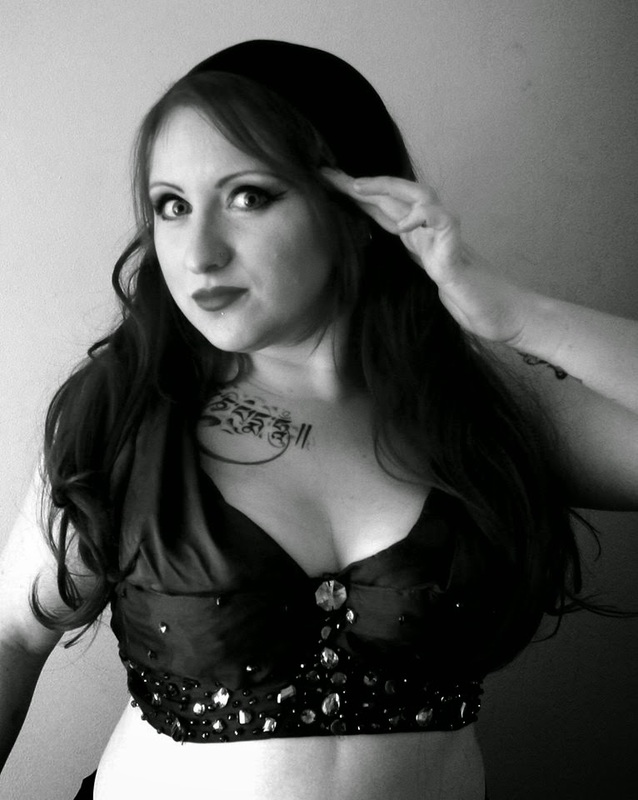 For me bellydance is about transformation. Almost every dancer I have met came to the dance during, or in anticipation of, a period of intense transformation. This is why I created Dancing with the Red Goddess, as a way to acknowledge the personal transformative experience that often comes with the dance. I also note that within my own dance career I have undergone a series of intense metamorphoses, and these, like all initiatory experiences, necessitate a letting go, or destruction of the previous ways and paths not taken. A system with continuous growth is unsustainable, creativity can only exist when in harmony with destruction. Or, "you can't make an omelette without breaking some eggs". I've been reflecting a recently on the process of building a performance, or more specifically, a point in the process which I like to call "sitting on the floor crying". I've mentioned it before and upon encountering it again recently, I decided to look a little deeper into it. Now, I'm not saying that literally sitting on the floor and crying is a necessary part of my process, it's more a descriptor of what it feels like than what happens. What I am referring to is the point where at about 60-80% of completion, I hit a wall and just don't know how to continue. I might decide I hate the music and don't want to dance to it at all. I undoubtedly start to doubt my ability. I may even start contemplating giving up and not doing this performance at all, or any more ever! A friend recently described it as when the dance behaves like a toddler who sits down in the middle of the supermarket and refuses to budge. A couple of years ago I began to recognise this as an inevitable part of preparing for a performance. More recently I have begun to recognise it as a necessary part of preparing for a great performance. Creating a new performance is a learning experience. Or it should be. Every new performance should push you, technically, artistically or both. If you aren't pushing your boundaries you aren't learning. If you aren't learning, you aren't growing. If you aren't growing then you are dead in the water. There is only a limited opportunity to keep dancing the same dance before you or your audience start to tire of it. If you really challenge yourself, then there will come a point when the learning curve becomes so steep, so intense, that it feels like a wall. A dead end. You can take a step back and trot along at a more comfortable level, or you can push through it. Pushing through it is when the magic happens, but it's never easy. In my experience, at this point I usually go into extra technical mode. I start thinking in beats and bars and which steps will fill the void that stares back at me unblinkingly every time I try to dance. The result of this is usually a bit bland and clinical, as you might expect. It was at this point recently when a friend suggested I rewatch this video, so I did. I would recommend that you do too. It reminded me that I was getting wrapped up in the wrong things, thinking about the performance, the audience, the technique, whether the music was right, the deadline, rather than just... making good art. Watch dancing. Similar and different performances for inspiration. How have other dancers expressed similar ideas? Don't overanalyse, binge on dance videos for an evening and let it soak in and inspire you. If you have a tendency to try and pile in all your complicated technique in a tight spot, try reprioritising. Sit down and dance the music just with your upper body and expression. Choreograph some really simple steps or footwork first, then put expression and arms on top. No fancy hips or layers. You need your feet in place so you don't fall over, but after that concentrate on arms, face and bearing. Once you've nailed that you might want to put something more complex on top, or you might find it's pretty powerful as it is. Don't always feel you have to fill the silence. Listen to the music. Properly. Concentrate on what the drums are doing. Listen again and concentrate on what a particular section of the melody does. Slow it down (there's some great apps like Audipo or The Amazing Slow Downer that help with this) and see if there is anything subtle in there that you are missing. Sometimes a subtle drum embellishment or variation in the bass line will give you something to put your layers to that isn't so obvious or expected. Get feedback. Ask a dance friend or teacher to appraise the work you have done so far. Or try a community like Bhuz.com and post a video. A good critique will include advice about what is working, as well as what isn't. Sometimes what it really takes to get past a block is reassurance that actually, despite what you think, you are on the right track. Specialised tuition. Ask your regular teacher, or another teacher whose performances you admire, for a private lesson. They can support you through the process, teach you some new steps or even choreograph a little to give you a leg up. Sometimes the block is technical. Sometimes the only way to make the performance meet your vision for it is to raise your game technically. So take some time out, go to classes, workshops, dance DVDs, you may already have something in your collection that you could revisit. Most of all, don't give up. Take a break if you need, but come back to it, and own it like only you can. Continuing with my series about the stage skills we can learn from drag queens. I like it when you don’t touch my hair. Wigs are an important part of a drag queen’s arsenal. Although there are a few who style their own hair (not to mention Ongina, who is often bald in drag) wigs are so much a part of the drag queen deal that many even wear more than one at once! Bellydancers often utilise hairpieces, usually in a more subtle or natural way, to enhance their look or give versatility between looks. On stage you need to be larger than life, and even if you have amazing hair, you may want to give it a bit of a boost. I also always carry an emergency wig in my gig bag, in case I run out of time to style my hair, get caught in the rain or otherwise might struggle to get a satisfactory ‘do for the performance. I love hairpieces and I have an enormous collection in different colours and textures that reflects the evolution of my stage look. 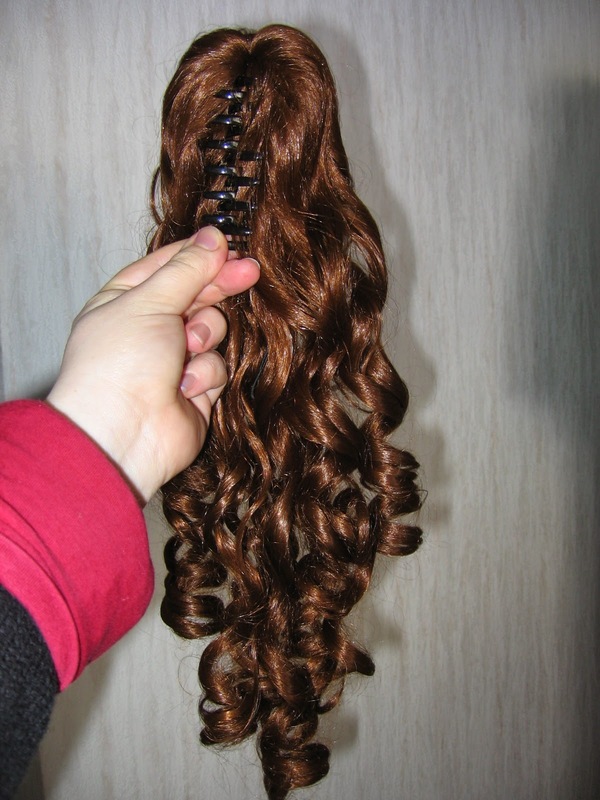 The range of hairpieces available is enormous and can be overwhelming. There’s a lot of great resources out there that provide you with a tonne of detail about different hairpieces, but I’m going to give you a quick rundown from a bellydancer’s perspective. In theory real human hair is the ultimate in terms of quality and look. Human hair wigs can be washed, dyed or styled just like your own hair. Human hair falls or clip in extensions will blend well with your hair in terms of texture. As a performer though, you aren’t looking for up close, daytime realness. On the downside this is a very expensive option. You aren’t going to save time with these, in fact you’ve got a whole extra bunch of hair to style and keep in good condition. If you have especially fine, or curly hair, you might find it hard to get a good match for partial hairpieces, most human hair for wigs is straight, thick and initially dark. Fine, lighter hair is even more expensive. There are also ethical issues with cheaper human hair. There are different classes of synthetic hair. 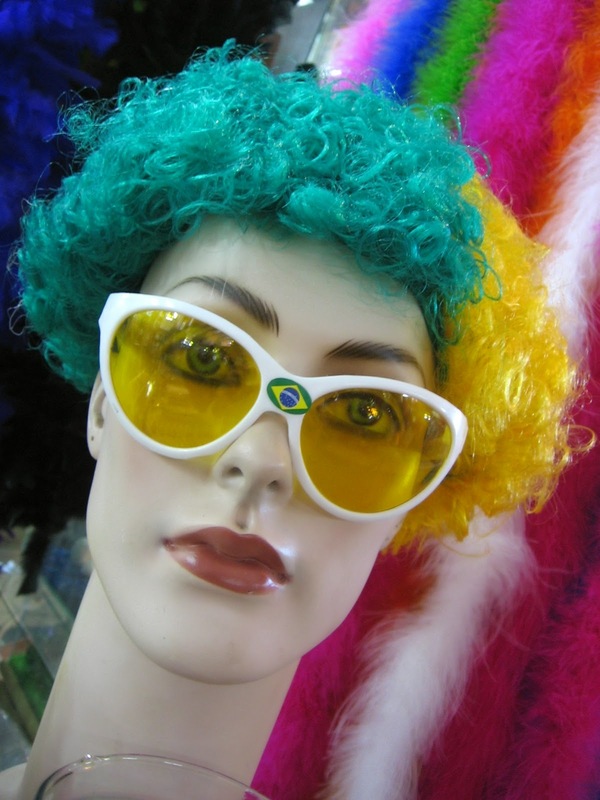 Traditional synthetic wigs tangle easily, don’t retain a style well and generally look like fancy dress accessories. Can I just take a moment here to tell you, though it should not need saying: Never wear a fancy dress wig on stage. They are thin, poorly styled and generally awful. “GO BACK TO PARTY CITY WHERE YOU BELONG” - Phi Phi O Hara. Japanese wig makers have more recently been using some excellent synthetics. The original is a fibre called Kankelon. It is soft and silky. The style is baked in, so even if you wash it, you just have to let it drip dry then run your fingers through it. You can stuff it in the bottom of your gig bag, shake it out and it’s ready to go. It’s as natural as you need for stage. There are also other fibres coming onto the market off the back of Kankelon's success, which really raise the bar in synthetic wigs. Another benefit of synthetic fibre is that you can get it in any colour, or length you fancy. Down to your knees and bright blue if that’s your thing! Which hairpiece is for you? These are wefts of hair with clips sewn on. If you want to add extra volume or a little extra length to your natural hair, this is a great option. Apply them by parting your hair horizontally and clipping them in close to the scalp. Start at the nape and work up. A spritz of hairspray before you clip them in will stop them slipping. You’ll need to match the colour and texture closely. It is possible to get a good finish with shorter hair and clips, but if you are not a whizz with hairpieces I would recommend that you either have natural hair past your shoulders, or only opt for a couple of inches extra length. Falls are hairpieces that encompass only the “free” part of a ponytail. Some clip in with a crocodile clip, some have a drawstring that fits around a bun made of your own hair. Falls are also available as dreadlocks, which are popular among tribal style dancers for a temporary dreaded look. You will need to style the rest of your hair as usual, then make sure you have a firm base to fix your fall onto. The colour match needs to be good, although you can get away with a texture difference. Hide the seam with flowers or hair decorations for ponytail realness. Partial wigs are an excellent introduction to wig wearing as you don’t need to worry so much about your hairline. These hairpieces fit onto the back part of your head, but the front inch or few of the style is formed from your own hair. You can sweep your hair back over the seam to cover it, or use a hairband. Usually you will use a wig that matches your hair colour, but it is also possible to use a broad hairband which comes right onto your brow, with no visible hairline to cover your hair for a completely different colour. These wigs are easiest to style, but they are still quite heavy and hot to dance in. In this image I am wearing a 3/4 wig, the hair in front of the band is my own. If you are going for a full cap wig, your biggest challenge is going to be the hairline. I would recommend a lace front wig, unless your wig has a fringe/bangs, as the artificial hairline will give you away. Lace front wigs come with a section of mesh at the hairline which firstly needs to be cut to a width you feel you can work with. The lace is fixed to the forehead with wig/toupee/body tape and you’ll need to use make up to blend it. It’s a bit of a fuss to get right, and hot to dance in, but this is your best bet for a totally different look, or to avoid having to use your own hair at all. Traditional convention says that bellydancers have long, loose hair. This is still the case for some traditional styles such as khaleegi, but fashions in bellydance include updos and short hair too. Unless you are aiming for an authentic, culturally representative look, your choice is up to your personal aesthetic. Drag queens wear enormous (and multiple wigs) to, as Courteney Act puts it “disguise their big man faces”. The proportions of your hair need to be taken into account in balancing your face and your body. As Courteney explains, heavy, masculine features are balanced by voluminous hair-dos. Like any hairstyle, make sure that your wig compliments your features, play with sweeping back, trailing tendrils etc. Think about where the strands lie in terms of your cheek or jaw bone, see what works for you. If you want to give an impression of height, you can add height to your hair in terms of high ponytails, tiaras, pomps, rolls or beehive style bumps. You can balance a juicier figure with volume in the hair, though be wary that very long, very voluminous hair will swamp you, especially if you ar not tall, so keep it above the bra strap or even shoulders. Width up top will balance broader shoulders and emphasise the narrowing of your waist. Long, straight hair elongates the body, especially with a little height on top. Make sure your hairpieces are secure. Use plenty of hairspray with clips, use more hairpins than you think you need. Beauty suppliers also sell wig hairpins, which are larger, to help secure wigs. Secure your hair underneath, I usually pincurl under a wig for an even finish that the wig can be pinned to. Pin through the wig into your hair, all around the edges and through the centre of the cap. As Mama Ru says, it’s only acceptable to take your wig off on stage, if you have another on underneath.